If you are visiting us for the first time, don’t worry we have a parking spot for you! Immediately opposite our church building you will find our VISITOR’S PARKING on Franklin Street. Please be our guest and simply park there! 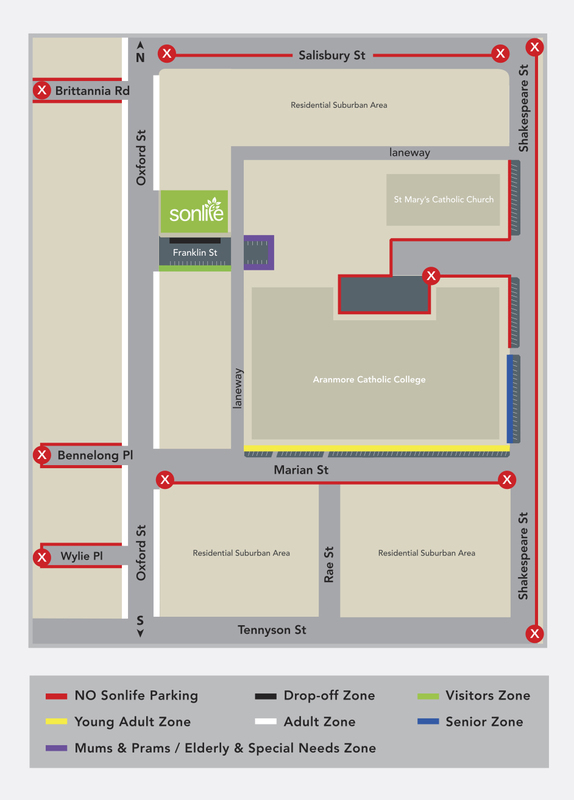 For our regular worshippers, please take time to look at the car parking management plan. Your support and cooperation is highly appreciated. Let’s be a blessing and not a burden to our new community! Please DO NOT park along the streets in front of residential dwellings and near St Mary’s Catholic Church. These areas are clearly marked with NO PARKING (red crosses) on the map.